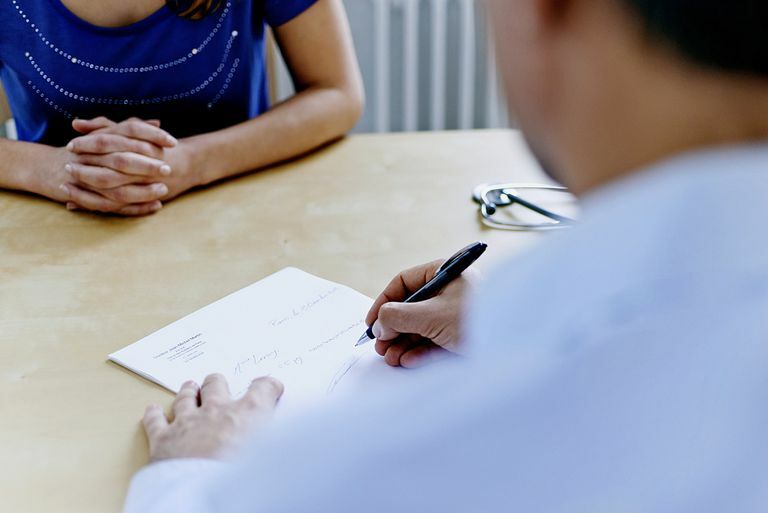 The phrase, "double doctoring," which is also known as "doctor shopping," has been used more and more in medical circles, but many patients don't know what it means. It refers to the deliberate use of more than one physician in order to obtain prescriptions for a greater amount of medications than would be prescribed by a single physician. Usually, a doctor will prescribe their patient a drug in the amount and dosage that is necessary for the legitimate treatment of their current medical condition. Double doctoring happens when some patients actively seek out additional doctors to obtain more of the same medication, or to obtain a different medication which has the same effect as the one they were prescribed originally. Double doctoring is a problem in the medical field because it is a type of dishonesty that makes it difficult for doctors to do their jobs properly. Patients might mislead or even lie to the additional doctors; they might not disclose to the additional doctor or doctors that they already have the medication from the original doctor. They might obtain a stronger drug, in larger dosage and quantities, by faking or exaggerating their symptoms. This can result in doctors distrusting all patients seeking the types of medications often obtained by double doctoring, such as painkillers and tranquilizers, leading to some innocent patients being under-medicated for genuine conditions, or worse, feeling judged or mistreated by their physicians. It also leads to large numbers of double-doctoring patients developing addictions to these medications, or dying from overdoses. This is one of the worse outcomes for doctors, making them increasingly cautious about prescribing these medications. The patient might want to obtain large amounts of medications they have become addicted to, such as opioid (narcotic) pain medications (like Oxycontin, Percocet or Vicodin). This can happen when the patient needs to take more of the drug to get the same effect, but their doctor is giving them a prescription for the medication in the dosage that was effective previously and is unwilling to increase the dosage. The patient might simply want to obtain enough of the medication to maintain their addiction to painkillers. This can happen if a patient has been prescribed a painkiller for a legitimate pain condition for a short period of time, and wants to continue to use the substance, even though the pain relief is no longer required. The patient may want to re-sell medications in order to obtain money to buy other drugs or support another behavioral addiction, or because they need or want money for some other purpose. This is a form of drug dealing or trafficking. The patient may intend to re-use the drugs in another form, for example, crushing stimulant drugs (like Adderall) prescribed for ADD) to sell as a recreational stimulant, or to mix with or "cut" street amphetamines. Again, this is a form of drug dealing or trafficking. Doctor shopping is also the act of seeking a doctor who is well-known among the patient population, typically by word of mouth, for being "generous" with medication types and doses. This technique has become more popular with the rise of electronic patient tracking, which helps prevent double prescriptions. Due to the ongoing devastation of the opioid epidemic, with increasing rates of substance use, addiction, and overdose from prescription painkillers such as fentanyl, and illicit opioids, such as heroin, regulatory authorities have been increasingly aware of and cracking down on the process of doctor shopping. Some U.S. states have even criminalized the practice. At the very least, most U.S. states have created a database that doctors and pharmacists can log in to if they want to check up on a patient who they suspect is a bit too eager for narcotic painkillers. Called prescription drug monitoring programs, these systems are designed to help healthcare providers identify doctor shoppers. Although awareness is growing among physicians, research indicates that only about half of doctors take the time to use these databases. These new systems can also help identify those physicians who doll out dangerous medications too casually. Increasingly, state medical licensing boards are gaining access to the programs and investigating the heaviest prescribing doctors in their state. In recent years, doctors have also undergone education and training about the dangers of prescribing unneeded medication. Unfortunately, some experts say that the crackdown on doctor shopping has contributed to the current heroin epidemic sweeping our country — heroin use has increased 63 percent in 11 years, according to U.S. Centers for Disease Control and Prevention. As prescription pain meds become more difficult to obtain (and therefore more costly), many addicts have turned to heroin as a more available and less-expensive option. What Does Getting High on Amphetamines or Speed Feel Like? Is It Actually Illegal to Use Drugs Without a Prescription?